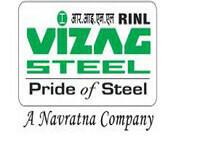 Vizag Steel Plant invites Application for the post of 366 Junior Trainee . Apply Online before 15 January 2016. Educational Qualification : SSC with ITI / Diploma in Engineering in the Trades Of Mechanical/Electrical/Instrumentation. Selection Process : Selection will be through Written Test and Interview. Application Fee : Candidates Have to Pay Rs. 300/- through challan . Fee must be deposited at any of the core banking branches of State Bank of India in the Prescribed Challan in “RINL Recruitment Account No. 30589461220”. How to Apply : Interested Candidates may apply online through the website https://www.vizagsteel.com from 26.12.2015 to 15.01.2016.